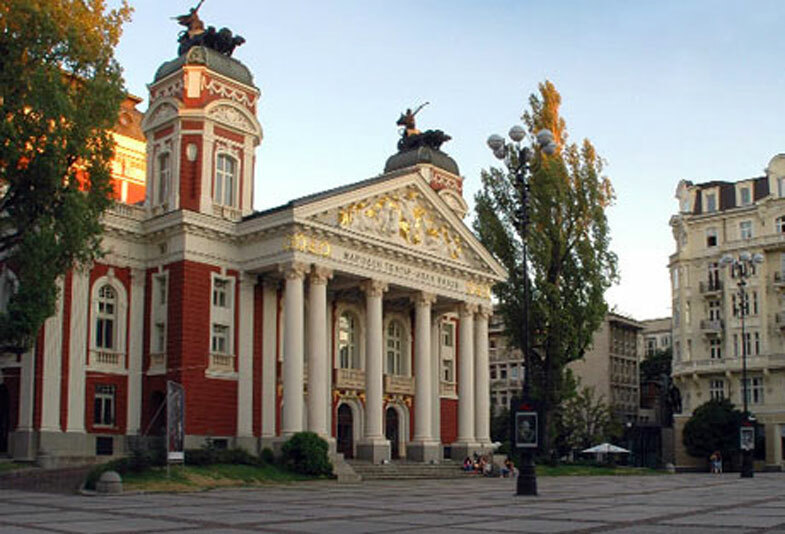 Enjoy a relaxing city break in Sofia. Explore the nightlife and experience the culture of this fascinating city with great entertainment opportunities - concerts, restaurants with live music, pubs and clubs, discos, casinos and lots more to discover! Half day city tour "2 Hours"
The route passes through the city largo, the administartive center and the St. George Rotunda, the mediaeval St. Petka of Saddles Church, the National Theatre, the National Assembly, via Alexander Nevsky Square with the impressive Cathedral, the historic St.Sophia Church and the Monument to the Unknown Soldier past the Synagogue, the Bulgarian Academy of Sciences, Sofia University, the Academy of Art and National Library. The price includes: Transport, Guide, Entrance fees, Lunch "Dinner and Folklore Show"
Enjoy the uniquely tasty Bulgarian cuisine in authentic atmosphere with Bulgarian folklore dances and songs.. Visit a folklore style restaurant where you can taste a traditional Bulgarian cuisine. The biggest monastery on the Balkan Peninsula. A visit to the Rila monastery is an unforgetable experience. Human imagination and the talent in combination with nature have fashioned true perfection in the heart of the Rila mountain, 150 km from Sofia. The monumental monastery architecture is truly breathtaking and the rich monastery lands are awe-inspiring. The Rila monastery is included in the UNESCO list of World Cultural Heritage. The country's largest city is older, than Bulgaria itself. Plovdiv was founded in 342 BC BY Philip II of Macedonia who conquered the old Thracian establishment in Evmolpia. Old Town Plovdiv, preserving innumerable monuments from different periods, is a true living museum with performances in the antique theatre, exhibition halls in lovely National Revival period houses, art and crafts workshops. Koprivshtitsa museum town offers a stroll in an authentic 19 th c. atmosphere. Every house here is an architectural masterpiece as well as part and parcel of Bulgarian history. This is unique experience where you taste the boutique collection of ToTodoroff wines or "VillaVinifera" wine cellars.